In our day to day lives, the Internet has become something we cannot live without. The Internet is one of the most wonderful inventions of mankind. It connects people, helps them communicate, and also acts as a great source of entertainment. With the internet, we now have access to things that were impossibly inaccessible before. It provides us with infinite knowledge and a platform for learning. Even if you are a dunce, you can be (or pretend to be) a pro, all because of this glorious human creation. It often happens that we find ourselves in a need for, but without an easily available internet connection. By need, we mean an emergency which may result into loss of important work and wastage of time and valuable resources. You may have found yourself in a situation where you were sitting without an internet connection on your device while hundreds of password-protected Wi-fi connections are available. 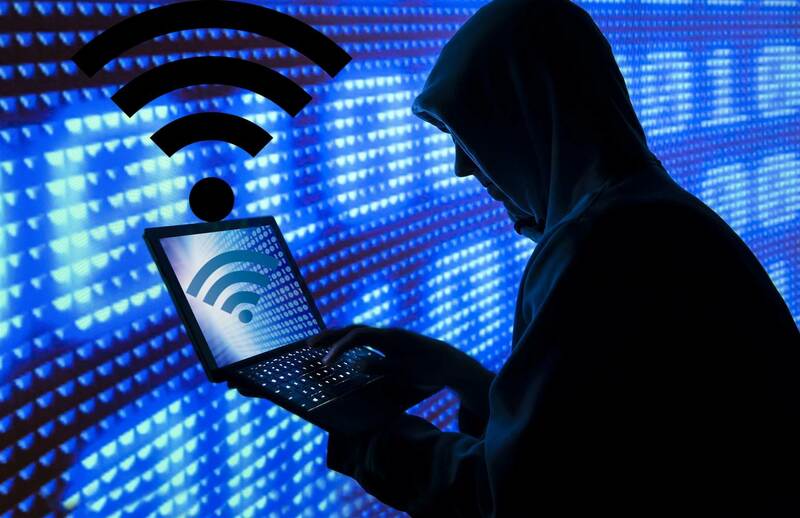 The knowledge of hacking a wi-fi is extremely useful, as it allows you to have an access to the internet wherever you go (provided, of course, that there is a wi-fi connection nearby.) So if you aren’t yet a pro at hacking a wi-fi, then you can now add this skill to your skillset. Before we learn how to hack wi-fi, let us do a slightly more in-depth analysis of the ins and outs of a wi-fi connection. A Wi-fi, as many of you may already know, stands for a “Wireless Fidelity”. It is, as the name suggests, a wireless connection that allows multiple smartphones, laptops, PCs to connect wirelessly to the internet within a particular area, with the use of radio waves. A Wi-fi network can be established by a wireless router. A portable wi-fi hotspot can be made using a smartphone or a laptop. A Wi-fi connection is usually protected by a wireless security, to prevent unauthorized access. The most common types of wireless security are Wired Equivalent Privacy or WEP, and Wi-Fi protected access or WPA. Let us know more about these types of securities. Wired Equivalent Privacy (WEP)- Wired Equivalent Privacy (WEP) offers a weak protection to a Wireless Fidelity. While it is better than using no encryption, wired equivalent privacy is the easiest to break into. A wired equivalent privacy protection has multiple weaknesses that can be targeted by an attacker. Some weaknesses include an unspecified key management, key size (40 bits), small IV (initialization vector), inappropriate ICV (integrity check value) algorithm etc. These weaknesses have made WEP security rather unpopular among users. Wi-fi protected access (WPA)- Wi-fi protected access (WPA) is a security protocol, uses TKIP (Temporal Key Integrity Protocol) which was developed by the wi-fi alliance to secure wireless computer networks. WPA has now been broken and depreciated. In terms of security, WPA is more secure and hence more popular than WEP. Wi-FI protected access II (WPA2)- Wi-FI protected access II (WPA2) is a type of encryption preferred by a majority of users. A WPA2 network provides unique encryption keys for each wireless client that connects to it. It provides the strongest security when compared to others. A suitable Operating System: Hackers typically prefer Linux for their attacks. There are two main reasons behind this. Firstly, Linux, being open source, is a multi-user operation, free and widely available and also it is very easy to modify or customize. Secondly, there are many Linux software available that can be used for hacking. Linux is a popular choice for both mainframe computers and servers. Linux can also run on PCs, smartphones, tablet computers, routers, and other embedded systems. Password Crackers: Hackers usually use tools such as password crackers, network and vulnerability scanners, intrusion detection software etc. Password crackers are software that helps to crack and decode passwords of various formats, such as hashed passwords or encrypted passwords. Password cracking software is also used in targeting and hacking into wi-fi networks. Kali Linux is a Linux distribution that comes loaded with multiple tools and hence advised for beginners. Aircrack-ng: One of the most popular suites of wi-fi hacking tools is Aircrack-ng. It can be used to monitor, attack, test and crack Wi-Fi networks. Aircrack-ng is compatible with both Linux and Windows. It is a command line tool that can be used for attacking and cracking wi-fi security protocols like wired equivalent privacy and wi-fi protected access. Aircrack-ng uses a simple attack mechanism; recovering a password through monitoring and collecting a sufficient number of packets. AirSnort: AirSnort is a popular Wi-Fi hacking software that you can use for free. It captures the packets and in order to decrypt the keys, the monitoring is done in promiscuous mode. It records enough packets to decrypt the key. AirSnort is a simple tool that can run on both Windows OS and Linux OS. Further development and maintenance of this tool have been discontinued, but the older version is available and can be downloaded easily. Cain and Abel: Another popular and powerful tool used for cracking wi-fi passwords is Cain and Abel. This tool is able to sniff out a network, and cracks encrypted passwords and performs cryptanalysis attacks using various password cracking techniques. By analyzing the wireless protocols, it can also discover wireless keys. WEP cracking technique: Wired equivalent privacy (WEP) uses a 40-bit key that is 8 characters long. The key can be broken in a few minutes once enough packets have been captured. WPA/WPA2 cracking technique: Most devices we use have wireless passwords stored so that one does not have to enter the password on the same device again and again. A hacker can use this to his advantage by forcefully de-authenticating all the devices on the network. The devices will try to auto-connect to the access point by completing the 4-way handshake. This handshake will be recorded and the hacker will get his hands on the hashed password. WPS cracking: It uses an 8 digit pin to connect to a wireless router. Brute forcing the 8 digit pin will give a hacker access to the router. Various tools use various optimization techniques, which help in increasing the speed of this attack. The key is cracked within a couple of hours. Go to https://www.kali.org/downloads/ on your computer. Now click HTTP next to the version of Kali you want to work with. The file will be downloaded in a few minutes. Then attach a flash drive to your computer. Your flash drive needs to be bootable so that you can use the USB flash drive as an installation location. Put the Kali Linux ISO file on your flash drive. Open the flash drive, and drag the downloaded Kali Linux ISO file into your flash drive’s window. Do not plug out the USB flash drive after the process is complete. In order to install Kali Linux on your computer, restart your Windows computer. Set your computer to start from your USB drive by finding the “Boot Options” (or similar) section, then select your USB drive’s name, and finally moving it to the top of the list. Then save and exit, then wait for the Kali Linux installation window to appear on your screen, also you may have to restart your computer one more time. You’ll needs to buy a Wi-Fi card that supports monitoring (RFMON), or you won’t be able to hack a network. Log into your Kali Linux computer as root. Enter your root username and password when logging in. remember you’ll need to retain this account during hacking process. Plug your Wi-Fi card into the Kali Linux computer. Immediately it’ll prompt the card to begin setting up and downloading drivers for itself. Once you’re done with this process, you can start the hacking procedure. 1. Go to your Kali Linux computer’s Terminal. Click the Terminal app icon, which resembles a black box with a white “>_” on it. 2. Now press Alt+Ctrl+T to open the Terminal. 4. Enter the password when asked. Remember enter in the password you used to log into your computer, then press Enter. 5. Now install Aircrack-ng and press Y when hinted, wait for the program to finish installing. 7. You’ll find the monitor name in the “Interface” column. If you’re hacking your own network, then it will usually be named “wlan0”. But if you don’t see a monitor name, your Wi-Fi card doesn’t support monitoring. Check that you replace “wlan0” with the name of your target network if it’s different. 11. Reexaine the monitor interface name. In most cases, the name will be something like “mon0“ or “wlan0mon”. 13. Confirm that you replace “mon0” with whatever your monitor interface name was in the last step. 14. Locate the router you want to hack. At the end of each string of text, you’ll find a name; look for the one that belongs to the network you want to hack into. 15. Check that the router is using WPA or WPA2 security. If you observe “WPA” or “WPA2” immediately to the left of the network’s name, you can continue or else, you cannot hack the network. 16. Monitor your selected network for a handshake. A “handshake” takes place when an item connects to a network (e.g., when your computer connects to a router). 17. Exit airodump-ng, then go the desktop. Press Ctrl+C to quit, then you will see the “.cap” file on your computer’s desktop. 20. You can also go to https://hashcat.net/cap2hccapx/ and put up the “.cap” file to the converter by clicking Choose File and selecting your file. Once the file is uploaded, click Convert to convert it and then download it back onto your desktop before proceeding. 23. Wait for the network password to be cracked. Once the password is cracked, its string will be added to the “name.pot” file found in the “naive-hashcat” directory; the word or phrase after the last colon in the string is the password. It can take anywhere from a few hours to a few months for the password to be cracked. Now you know so much about how to hack into wifi, right? Hacking into a Wi-fi is simple, but beginners tend to have problems understanding both the practical and the theory. Keeping that in mind, here are some frequently asked questions that might help you understand the basics of hacking. And not just hacking a wi-fi password, but hacking just about anything. Is it really possible to hack a WiFi password with which I never connected it before in a device? Yes, it’s definitely possible using a professional tool like kismet, airmon-ng, etc. Hackers use Kali Linux or parrot is to hack because it has many tools pre-installed. What WiFi hacker apps are available for Android? AndroDumpper, WPS CONNECT, WPS WPA Tester are the apps that can get you the password of WPS enabled WiFi. Root access may be required for the full features of the app. Works only 15–20℅ of time as it tries only the default WPS pins. Which is the best WiFi hacker app? You can not crack WiFi without any special method. If you know the WPS key of the router, you can easily retrieve the authentication key aka password from it using the android app WPS WPA Cracker. And you can still use brute force techniques but getting a pass by brute force is really slow and doesn’t give you a guarantee of cracking out the password. But still, if you want then you can check out ‘WEBR ‘. A packet is a basic unit of communication over a network which carries data in the protocols that the internet uses. A packet is also known as a datagram, a segment, cell, block or frame, depending on the protocol used for transmission of data. During the time of data transmission, it is broken down into similar structures of data, which are reassembled to the original data chunk upon reaching their destination. A packet sniffer is a program, that targets data packets by intercepting the data flow in a network. In the case of a sniffer, all traffic is shared when the sniffer software commands the NIC (Network Interface Card) to stop ignoring the traffic. The NIC (Network Interface Card) is put into promiscuous mode, and it reads the communications between computers within a particular segment. This allows the sniffer to target and capture everything that is flowing in the network, leading to the unauthorized access of sensitive data. What are some packet sniffing tools? Wi-Fi hacking is a fairly simple yet often overestimated task. Once you have the right knowledge and the right tools, it is a piece of cake. However, tempting as it may, hacking into someone else’s Wi-Fi is, if not illegal, unethical. It is the same as stealing because someone else is paying for your short-term pleasure. With that in mind, if your intentions are good and your need is urgent, there is no harm in using the techniques listed in this article. After all, ethical hacking does exist. So unleash your tech skills in the world and keep hacking away!